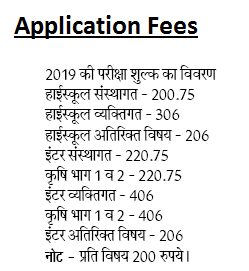 UP Board Online Admission Form 2019 From school and Inter College is here UP Board registration last date for regular private exam to apply online on classes 9th 11th 10th and 12th. UP Board Admission 2018 official website is upmsp.edu.in. UP Board Admission now took place for those 8th to 11th class online application form UP Board 10th Admission who attended class 9th they can go their college take a printed form of 9th or 11th UP Board 12th Admission form 2018 and other latest news boys and girls from the subject maths science English Hindi social science Sanskrit. 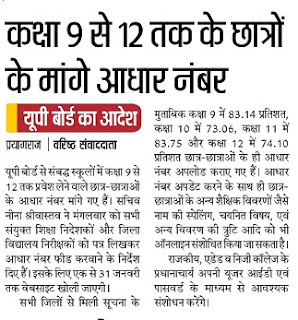 UP Board Adhaar Panjikaran: From 9th to 12th class Adhaar registration of Highschool and Inter college is mandatory now.UP Board Sachiv Nina Shrivastav said to all UP Board DIOS for feeding Aadhaar registration number to their zone. Latest News update 29th November 2018. UP Board Form Correction: If you have done some spelling mistakes, Subject Selection, double registration and other important details while filling form then visit before december to make correction in UP Board form. 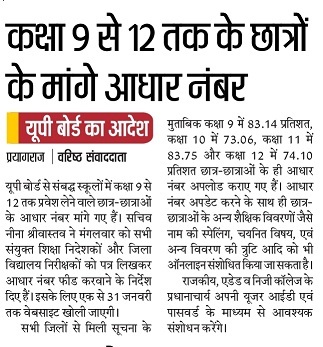 UP Board 9th, 11th Agrim Panjikaran: Jila Vidyalaya Nirkishak has given 15 October as a last date to fill UP Board 9th Registration or 11th Registration. You can see and read article below and pay Vilamb shulk before 15 October 2018. Last Date: 15 October 2018. 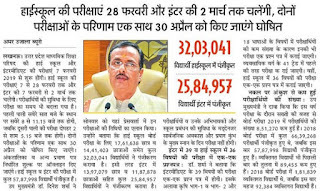 UP Board Black listed College List 2018:- Deputy CM Shri Dinesh Sharma said we will not give centers to black listed high school and inter college in UP. 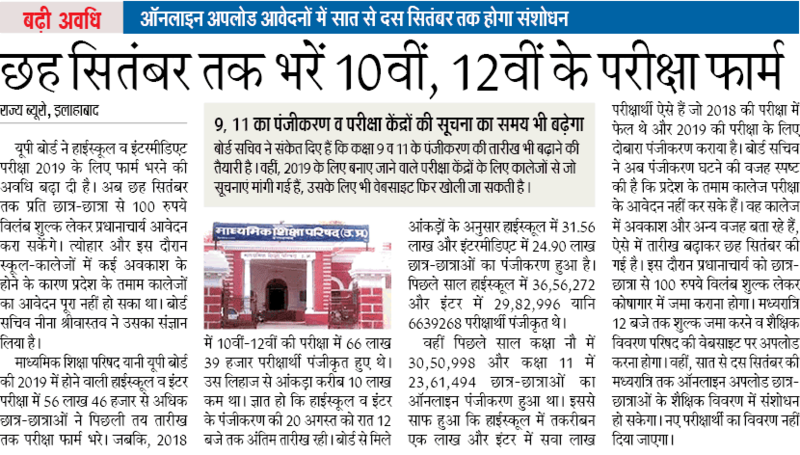 Due to tight security in UP Board 10 Lakh candidates unable to sit in exams. High school and Intermediate exam:- 7th February 2019. UP Board Admission Last Date 2018:- Latest Update 28 August is UP Board has extended the date 10th and 12th Exam registration up to 6th September 2018. 1. 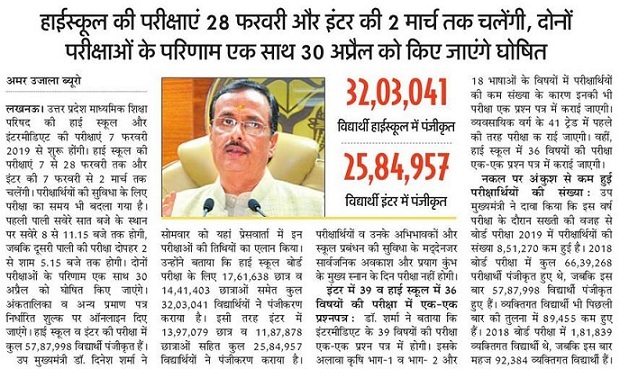 Total 56 Lakh, 46 Thousands girls and Boys register themselves in Upcoming exam held in Feb 2019. 2. Vilamb Shulk Rs 100 submitted to Pradhanacharya of your school. 3. board sachiv hints to give more time on 9th 11th students registration process. UP Board Notification 2019:- UP Board Exam Starting from 7 February 2019 and it may be held before lok sabha Chunav. Date is not confirmed of Board 10th, 12th till now but we add it in these posts soon. 1. UP Board High school Exam 7 February 2019 completed in 16 days. 2. UP Board Exam Target to complete in 25 Day. UPMSP Registration 2018;- On 17 July 2018 UP Madhyamik Shiksha Parishad Updated the Time Table on How to apply for new registration, admission and exam fees submission last date to submit you may check below. Late Fees should be paid up to 16 August 2018. Avedan mein Sanshodhan:- 1 To 10 September 2018. UP Board Intermediate Last Date 2018:- Latest Update 16 July 2018 Today we have meaning for you that shows last date of Admission in UP Board through Uttar Pradesh Madhyamik Shiksha Parishad. 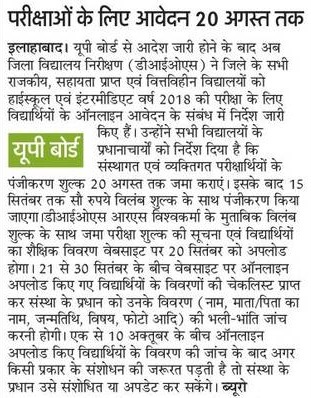 UP Board Registration 2018; Latest News 14 June is Online Application to come in 10th and 12th Exam of 2019 registration starting For UP Board Highschool Intermediate Exam candidares have to pay fees before 20th August 2018. 4. Other latest news available by principal. Last Date of Submission: 20th august 2018. Yes you apply 10th and 12th .exam 2019.without 9th 11th registration...so just call me . Up .....and mail me ..my I'd..
Can I send application form for intermediate , private? Sir, 12th private form ki date badhegi? Sir 12th private form ki last date plz sir.